Discount only valid with current program registration. Discount only applies for one person and cannot be transferred. Discount may not be combined with other offers. Subject: Preschool in Windsor Terrace and Kensington? Comment: We have our son in the JCC Y at Windsor Terrace 2s program, right now we only do 3 half days a week but next year we'll increase to 5 half days a week. Even though we're not Jewish it's a great and welcoming environment. The teachers are warm and for us it's on the way to the subway. Comment: So far we are having a great experience with this program, though only started in September 2018. Our child started when she was not quite two years old, in the 18-24 month room and the school did a great job smoothly transitioning her into the two's class after her birthday in late-October. She looks forward to going every day, is making new friends and learning concrete things despite the child-centered, play-based curriculum. Her lead teacher seems extremely dedicated, creative and detail-oriented and very open to communication/questions from parents. A highlight is the app the school uses to send photos of daily activities to the parents each day. The school has also been very flexible with our requests to add sporadic after-care from 3-6pm when needed on a per diem basis, and switching from 4-5 days/week after we'd already started the program. My only concern is there seems to be quite a high turnover rate with teachers from what I've heard, which may be mainly an issue with the administration, benefits, etc. About the facility: Has outdoor space, Has afterschool options, Has early morning hours What would you change? Would be helpful to provide childcare during parent-teacher conferences and/or schedule them outside normal work hours. It's not as diverse as it could be socioeconomically/culturally. Comment: Preschool with a combined 2s/3s program. (may change for next year). Pros: Fun activities and outdoor time. My child enjoyed it and learned and seemed to always have fun. Flexible schedule for our family. Cons: Only 2 caretakers for 15 two to three year olds so sometimes staff seemed overwhelmed/tired/unenthusiastic. New program with new staff and it felt unorganized at times however improved as the year progressed. About the facility: Has outdoor space, Has afterschool options, Has early morning hours, provided snacks What would you change? The communication was poor regarding staff changes etc. The teacher we heard wonderful things about and why we signed up changed and we were never notified. Comment: My daughter is currently at the Kings bay y and I truly cannot say enough great things about it. Ronnie and Sherry (who should be teaching the 3 year olds next year) are INCREDIBLE. My daughter has learned so much and she absolutely loves school. The school is play based and student-led and it's fantastic. The teachers have masters degrees and tons of experience. We get detailed emails with 10+ photos every day. The school also has a wonderful sense of community with lots of optional programming for families on the weekend who want to be involved. There is a very active parent committee-we are actually working together this weekend to add some new activities to their private outdoor space. I really can't say enough-I would keep my daughter there forever if I could! Comment: My daughter is currently in the UPK class at Kings Bay Y Windsor Terrace and was in the 3s class last year.We absolutely love it. The teachers for the 2s and 3s classes (last year, this year and next year) are all wonderful. The curriculum is playbased and my daughter has experienced the most wonderful things. In her 3s class they built an F train and MTA ticket booth from boxes! In the warmer months they walk the neighborhood and visit the firehouse and Prospect Park. They now also have a play yard on the side of the building with 2 wonderful climbing frames and slides and swings. We (the current parent committee) are busy upgrading it with some additional age appropriate STEAM activities.Im sure your child will be happy at KBY! 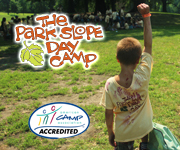 Subject: [2013PreK] Summer camp ideas? Comment: I. 's current preschool down in South Windsor Terrace has a summer camp for under 4s, which is on site at her school and they will spend good days in Prospect Park. It's at Kings Bay Y Windsor Terrace. Call 718-407-6377 and speak to Ilona for more info. Comment: Age of child: 8Review: Good.What would you change about the program, if anything? Trips are too far, disorganized. Subject: Re: Kings Bay Y Summer Camp Reviews? Comment: Age of Child: 10Likes: My child enjoyed the swimming and the trips.Would you send your child(ren) again? YesDo you recommend? RecommendDo you have any other information to add? My son attended for only one week this summer. The counselors made him feel a part of the group. 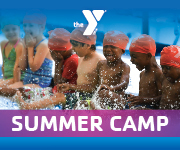 Comment: Program: Regular Summer CampLikes: Swimming, art, soccerWhat would you change? More instruction at swimming time, rather than just free time in the poolWould you send your child(ren) again? YesDo you recommend? RecommendDo you have any other information to add? The counselors are very friendly and enthusiastic. The front office staff was flexible with us about mode and timing of payment.